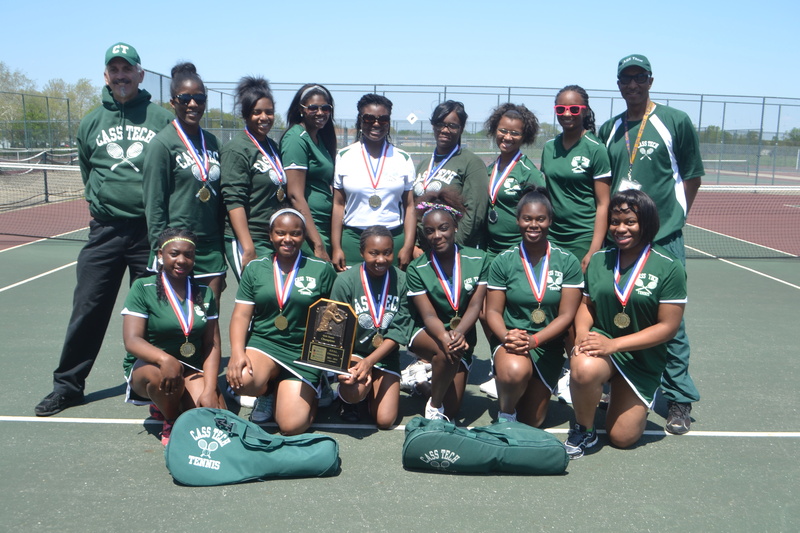 Cass Tech swept all four doubles flights and won two of the four singles matches to repeat as Detroit Public School League Division 1 girls’ tennis champions Monday at Barcus Tennis Center. Coach Clarence Wynn’s Lady Technicians finished with 19 points followed by Renaissance 12, King 7, Western 5, Osborn 2 and East English Village 0. The meet was originally slated for a week earlier but was postponed due to inclement weather, The PSL Division 2 girls tennis meet, also postponed because of bad weather, is set for Thursday (May 22) at Barcus beginning at 9:40 a.m.
No. 1 singles – Cass Tech sophomore Alayah Martin defeated Renaissance senior Pipier White 6-0, 6-0. No. 2 singles – Cass Tech senior Emma Hurston-Gates defeated Renaissance senior Brianna Brydie 6-2, 3-6, 6-1. No. 3 singles – Renaissance senior Mallory Hardaway defeated King junior A’Jhane’ Moran 6-2, 6-1. No. 4 singles – Renaissance sophomore Breanna Brown defeated Cass Tech sophomore Jendayi Nkenge 6-1, 6-3. No. 1 doubles – Cass Tech senior Tyra Webb and junior Nacala Brandon defeated Renaissance juniors Destane’ Turner and Randi Jackson 6-3, 6-0. No. 2 doubles – Cass Tech junior Carlie Cooper and sophomore Jazmyn Ollis defeated Western senior Valeria Cuevas and junior Diana Huerta 6-1, 6-2. No. 3 doubles – Cass Tech freshmen Ke’Yonna Petty and Jayla Turner defeated King sophomore Johnae’ Williams and junior Deishamarie Lopez 6-1, 6-4. No. 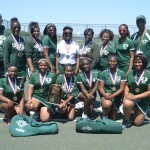 4 doubles – Cass Tech junior Deanna Hunt and sophomore Ijeoma Onyene defeated Western seniors Kaprionna Boyd and Ke’Vae Turner 6-1, 6-1.